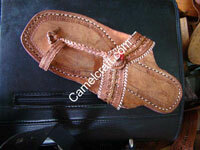 If we talk about footwear and comfort of feet, one name comes in our mind is Kolhapuri Chappals. 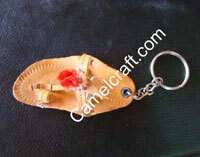 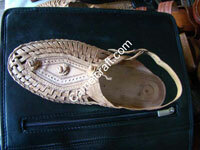 For daily use or use for any occasion the kolhapuri chappals are very good example This is the typical Indian handicraft product made of cattle leather. 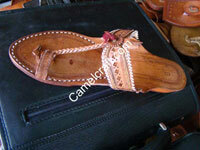 The kolhapur city known for its leather craftsmanship and garments in Mharashtra the western Indian state. 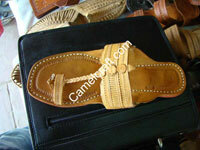 People have been serving for this Indian leather footwear industry for a decade. 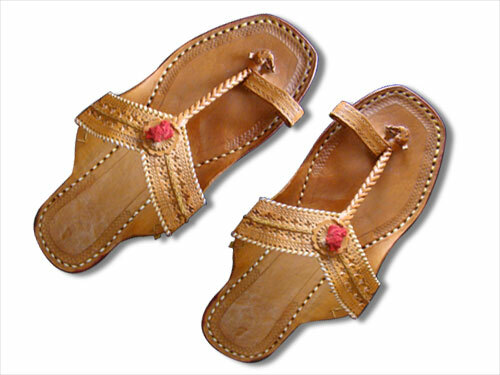 Due to the limited and unique traditional designs, it has become kolhapur brand. 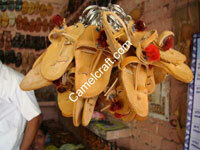 If you ask for kolhapuri chappals anywhere in the market, it has the same design and material. 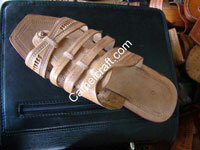 I believe who design these chappals took enough time to make this comfortable from all aspects. 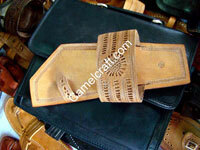 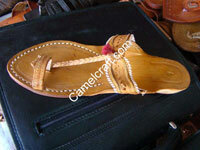 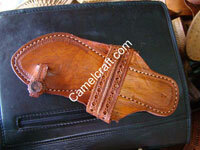 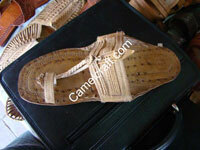 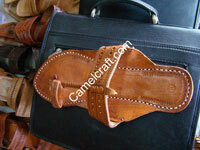 You can say its an eco friendly handicrafts or natural leather handicrafts footwear. 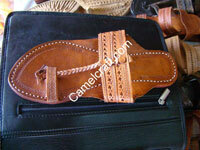 All designs are easy to wear as well as comfortable you can imagine. 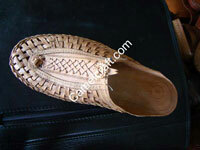 Kolhapuri chappals are very famous in Maharashtra even all over India and becoming famous in all over world through its art of making and natural quality. 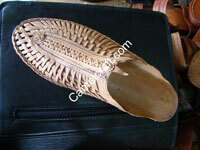 People who want to feel nature with its feet then barefooted walk is the best way but kolhapuri chappal make you feel natural as well as comfortable enough. 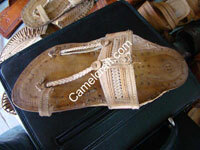 These footwear made Kolhapur city a famous tourist place of Maharashtra. 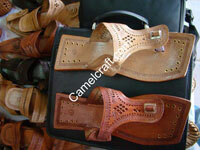 When we talk about manufacturing of Kolhapuri chappals, it starts with cattle leather, the designs and frame are ready to give the shape, once the leather have been chosen by the manufacturer he starts marking and drawing sizes on the leather and cut into pieces. 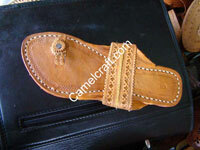 Then join those pieces according to design, with some temporarily stitches, The important thing is to make sole and join upper part with it by leather thread stitches, no any single iron nail is used to make this chappal and the leather threads are used to make stitches all over and totally hand made footwear. 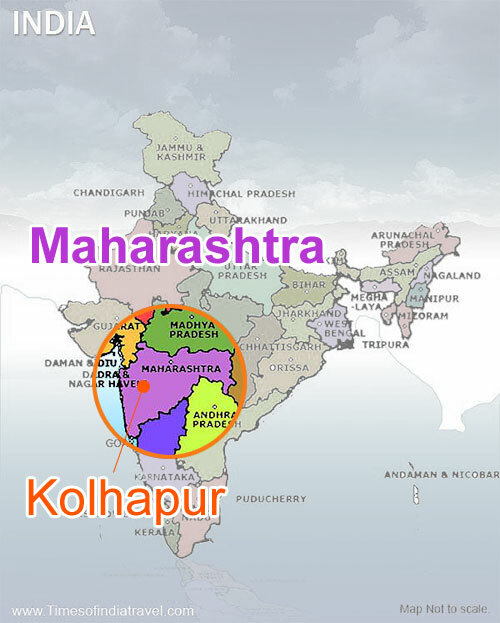 Kolhapur is well connected from Mumbai by road, by train and by air. 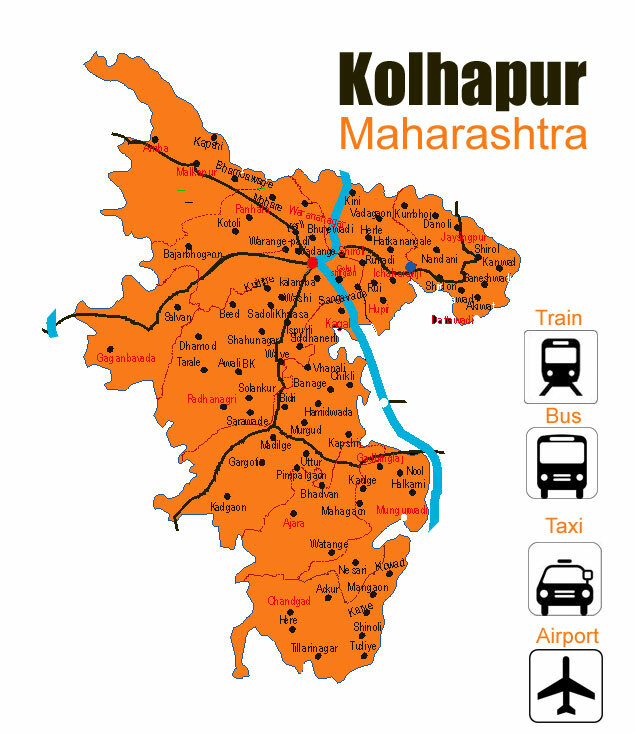 Kolhapur can be reach by public transport bus and owned car or taxi.